Students of the Civil War who haven’t visited our Crab Orchard Museum and Pioneer Park really should make time to do so. Among the myriad of interesting objects on display is a door – that’s right, a door -from the Elijah McGuire house, built at Cedar Bluff in the early 1800s. When the Union Army came through on their way to try to destroy the salt mines at Saltville, they forced their way into the McGuire Home by breaking in the front door and leaving a bullet hole to be remembered for generations. That very door is part of the extensive Civil War exhibit at the Museum. Gettysburg has preserved a lot of bullet holes from the War; we’re happy to have this one! 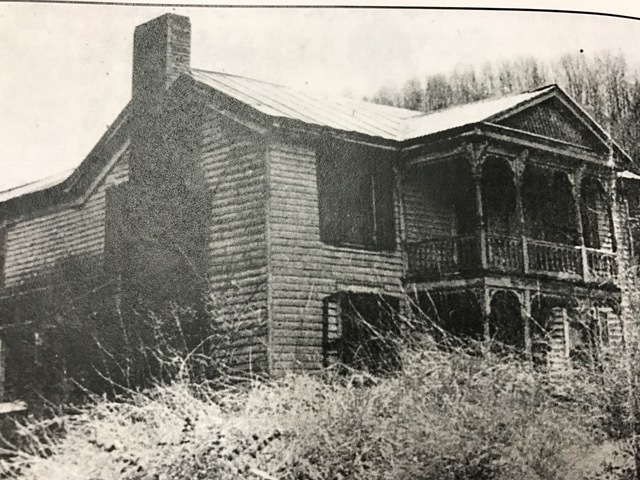 Elijah McGuire’s wife was Elizabeth Claypool whose family name was given to the Claypool Hill area; his great granddaughter, Miss Mildred McGuire, was living at the house when the new road was started. Miss McGuire was a local school teacher, a civic and church leader who is well remembered in the area. The house no longer exists; it was demolished in the highway construction. photograph. It was built by Joe Simmons on what was once the Bane farm, sanctioned by NASCAR, and had grandstand seats for 8,000. 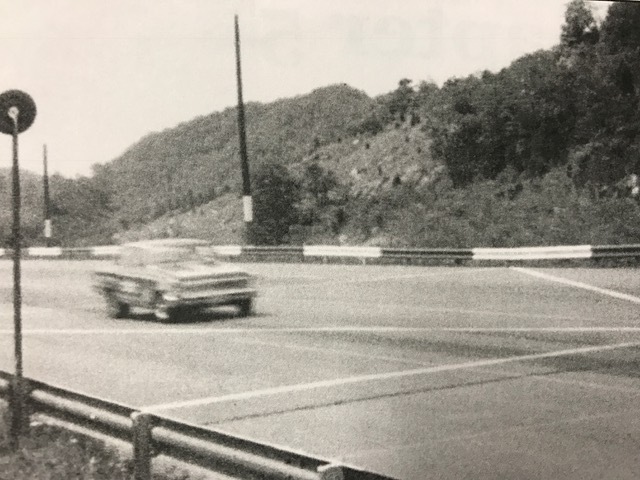 The Cedar Hills Dragway opened on July 4th weekend in 1966. Doug Rose, a well-known Jet Car driver, raced for Walt Arfon on July 3rd and reached 221.5 mph which was 10 miles under the world record. He came back the next day and, on a rain slick track before about 1,500 fans, was driving just over 100 mph when he lost control of the “Green Monster” and hit the guard rail. He was thrown from the car and lost both legs at the knee. Determined to continue his career, he built his own jet-powered car and eventually won over 3,700 races and was the National Jet Champion 11 times. Between 1966 and 19 85, the track changed names twice – Cedar Hills Dragway became the Richlands International Dragway and then Big Al’s Dragway. 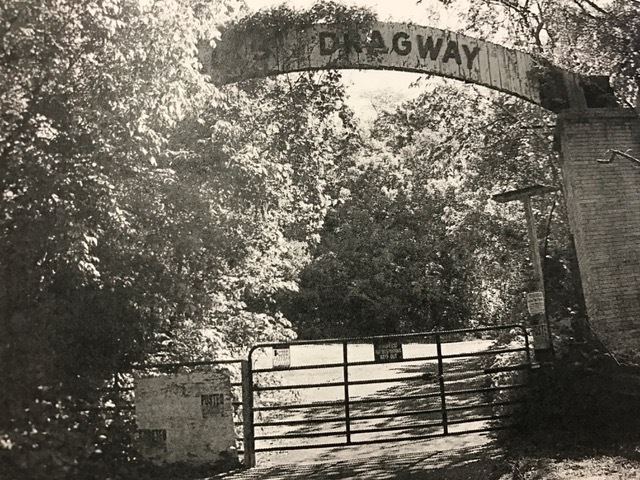 Efforts to re-open the dragway have been, to this date unsuccessful, even though there still seems to be a good bit of interest and lots of wonderful memories of the action that took place there. More than likely, at a certain time and under certain atmospheric conditions, ears attuned to car races can still hear strong echoes from yesteryear. I haven’t been on this stretch of road myself, but am told by several people that it affords some of the most beautiful mountain views in the County. 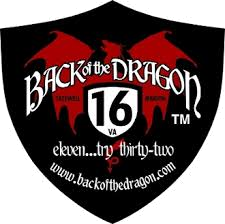 I am unable to understand why it remains unpaved in this day and time, making it the only unpaved primary road in the state of Virginia. SR91 in Virginia begins at the Tennessee state line south of Damascus, points almost directly north and ends up 295 miles later at Crab Orchard Road just west of the town of Tazewell. 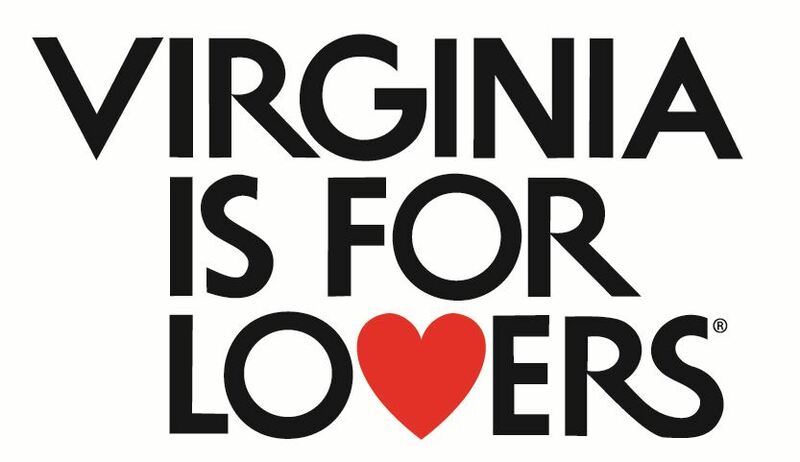 It runs through parts of Washington, Smyth, and Tazewell counties; crosses mountains and rivers, visits towns and communities along the way and terminates in Tazewell County after being in the Commonwealth for about 135 miles. 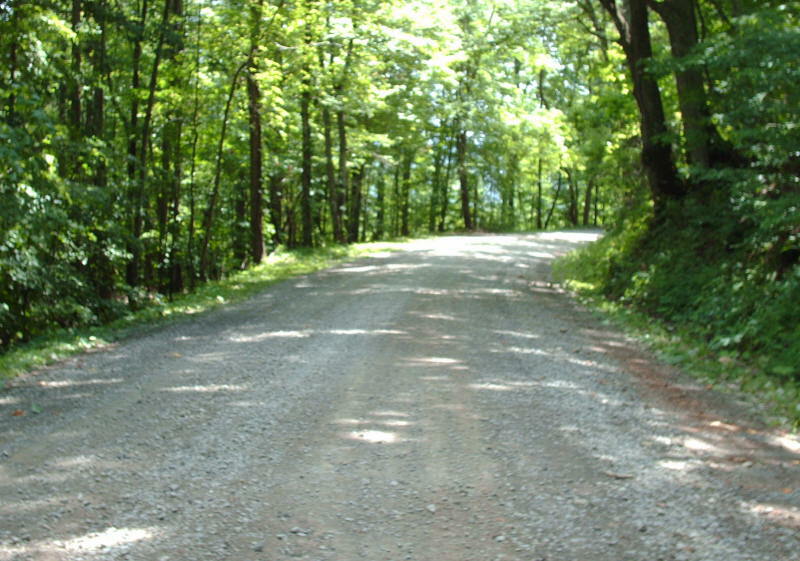 The unpaved section is 5.5 miles long and is entirely within Tazewell County going from Little Tumbling Creek Road to Thompson Valley Road across Clinch Mountain. It basically runs from Tannersville to the Cove. 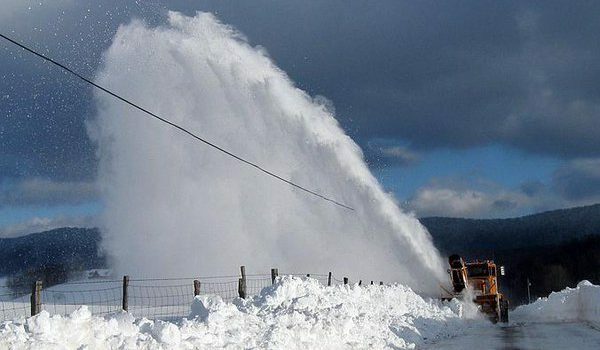 I wonder how road crews keep this section clear in the winter time; I grew up on a dirt/gravel road and never saw a road scraper until it was eventually paved long after I left home. 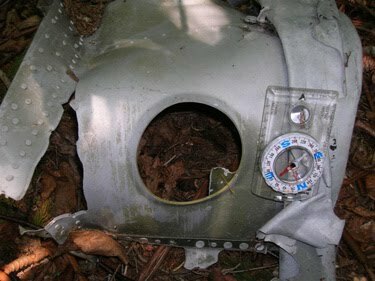 When Ed Talbott III from Buchanan County decided to try to get to what he believed was the crash site of a WWII era plane on the summit of Beartown Mountain, this accomplished hiker had no idea what awaited him. There’s only one trail in the Wilderness, which is 5,609 protected acres in one of the most remote locations in Virginia and also one of the most unique. Ed found the trail in spots, but he mostly carved his own. 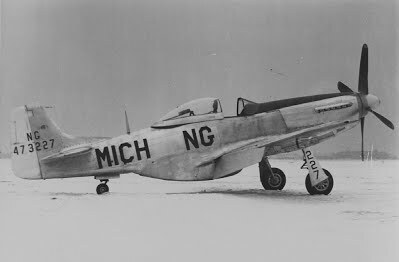 He did indeed find the crash site and has published several pictures of what little was left of the P51-D on the mountain. It turned out that the plane crashed on the 19th of March in 1954. A young 1st LT, Robert Brannon Smith, from the Michigan Air Central National Guard in Lansing, Michigan was flying a training mission to Charlotte NC. The theory is that he was lost in the fog when he crashed near the top of the mountain. Both the Bluefield and Bristol newspapers carried accounts of the accident. Very few peopl e have braved the steep, remote and rugged mountain to find the crash site or just to hike. The summit rises 4,680 feet, is the highest point on Garden Mountain and in the Wilderness and is densely forested with undergrowth of nearly impenetrable rhododendron and laurel hells (look it up, I did) as well as hazel and cranberry. Neighboring mountains within the Wilderness also rise to more than 4,000 feet; a couple of them are crowned by meadows where young red spruce are making a comeback. The Appalachian Trail follows along the south-eastern boundary of the Wilderness through meadows located on the crest of Chestnut Ridge. In 1892, a lady accidentally discovered curative mineral springs, which contained lithia, iron, magnesium and potassium at Falls Mills. This happened after she had been told by her physicians that her illness was incurable. Evidently word spread fairly quickly, for in 1903 a Mr. Wingo remodeled a 16 room building near the springs and turned it into a lodging facility. 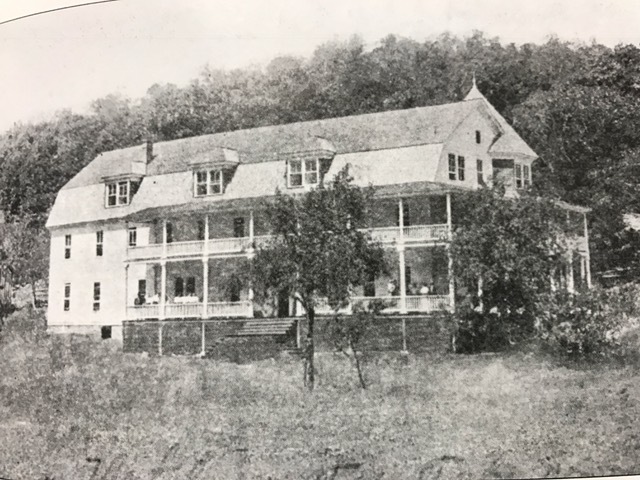 In the “Tazewell Republican” newspaper of 26 May 1910, an ad announced that the hotel was opening again under new management. In the 1920s, a train running from Bluefield would stop at the Tip Top Railroad Station (the highest point on the N&W line east of the Rockies) to dislodge passengers going to spend an evening or a week-end at the Iron Lithia Springs Hotel at Falls Mills. The train was met by horse driven carriages to carry the hotel’s clientele to their destination. There are pictures of the grand hotel in its heyday with women in hoop skirts and men dressed to the nines on the broad front porch of what looks to be a very beautiful 3 story building. Evidently people came from as far away as Roanoke to bathe in the springs and to enjoy the entertainment at the hotel. I don’t believe there is any physical evidence that the hotel existed or whether any vestige of the springs remain, but just to be in the vicinity and imagine the romantic atmosphere of the long ago would be a treat to a historian or to a reader of novels. And there’s always the pictures!